Upon your arrival in Phnom Penh. 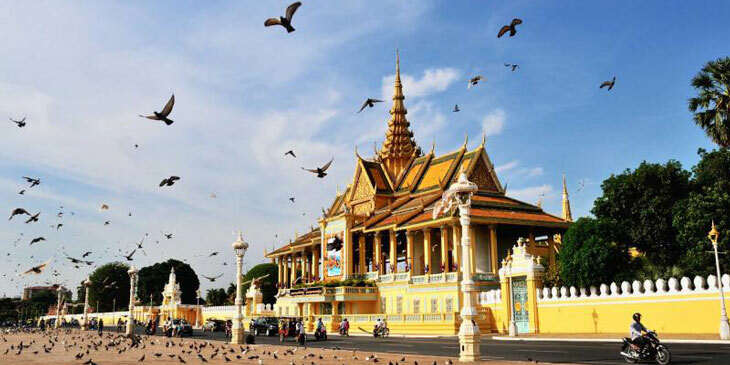 Welcomed by our tour guide and transfer to the city to visit the main sights including the Royal Palace and Silver Pagoda, the National Museum as well as the Wat Phnom. After lunch, you will discover the Tuol Sleng Genocide Museum as well as the Central Market. 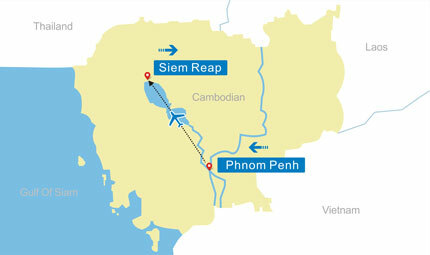 This morning, take a short flight to Siem Reap. Upon arrival, transfer to hotel. After lunch you embark on a visit of the Roluos Temple Complex. The complex represents the remains of the first major capital of the Khmer empire, and comprise of following principal monuments: Bakong, Preah Ko and Lolei. The evening is free at leisure. After breakfast, visit the Southern Gate of Angkor Thom City, the Royal Enclosure, Phimeanakas, the Terrace of Elephants, Terrace of Leper Kings and the jungle - clad Ta Prohm. 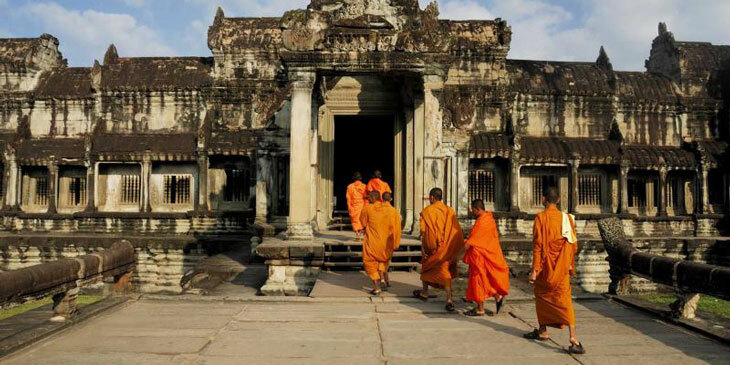 After lunch, continue to discover Angkor Wat. You have most of the afternoon to visit and wait for the sunset from Phnom Bakheng. 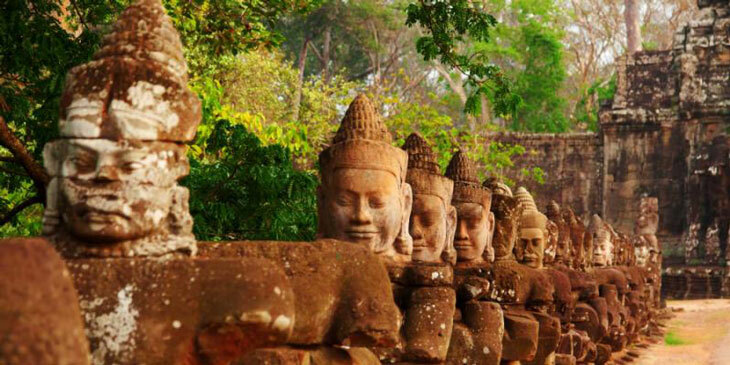 After breakfast, you head to the exquisite Banteay Srey (“Citadel of the women”). 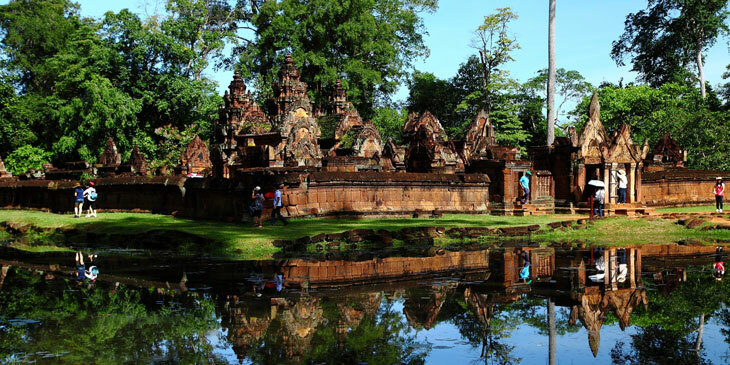 The visit is combined with the discovery of Banteay Samre. After lunch, visit Ta Som, Neak Pean and Preah Khan. Return to Siem Reap city and enjoy the massage (your own expense). 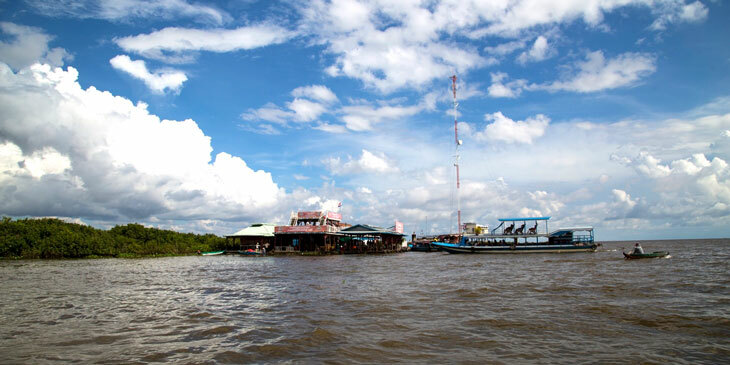 After breakfast, visit Chong Kneas Village, you will then take a boat trip to visit floating villages on Tonle Sap which is a huge lake of Indochina. After lunch, you will be free for shopping and self discovery. You will gather up at 6:00pm for a dinner with an Apsara dance show. Dancers, singers and musicians bring ancient Khmer culture to life in spectacular surroundings. After breakfast, free until transfer to the airport for flight to next destination.